When you need a root canal done, you want an Asheville dentist that you trust to do the procedure. You’re in good hands at Saunders DDS. We can perform your root canal and keep you pain-free, symptom-free, and happily smiling! What is a root canal and how do you know if you might need one? When a tooth has been badly damaged by a cavity, trauma, or fracture, a root canal may be needed in order to save the tooth. During this procedure, Dr. Saunders will carefully clean the inside of the tooth root system, removing the pulpal tissue, or in other words, your tooth’s nerve. Once the root and the space inside has been cleaned and the infection removed, it’s sealed and a filling or crown is then recommended as a final restoration. This process enables you to keep your natural tooth while at the same time clearing the infection and filling the cavity with a sealant in order to further protect your tooth. The crown is put on top in order to protect the cavity inside your tooth that was cleaned and sealed and to prevent further damage. At our Asheville dental practice at Saunders DDS, we have years of experience performing root canals and keeping our patients pain-free. 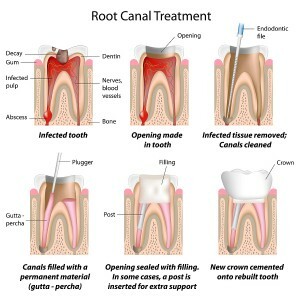 Root canals procedures are beneficial because they enable you to keep your tooth, therefore no dental implant or denture will be necessary in order to save your smile. 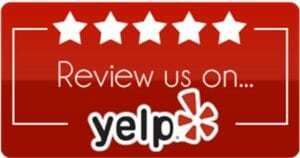 Our priority is making you comfortable during the procedure with our dentist in Asheville NC, Dr. Saunders. Talk with our office manager if you have anxiety about your root canal procedure. We even offer sedation dentistry to help keep you as relaxed and comfortable as possible both during the exam and procedure. Root canals have a reputation for being painful, however, this is a myth. Modern dentistry allows our Asheville family dentist practice to keep your procedure entirely pain-free, and many patients only experience a mild discomfort after the procedure. The majority of the time, patients find that the uncomfortable symptoms that brought them in for a root canal dissipate after the procedure. Talk with Dr. Saunders if you have any worries surrounding the procedure. We want you to be fully informed about the procedure when making the decision to have a root canal done to save your tooth. During your exam with us, we can help you determine if a root canal is needed. Maybe you’re having symptoms that indicate a problem with your tooth’s root, but sometimes, patients won’t experience any symptoms at all. What are the signs and symptoms that a root canal is needed? Severe toothache pain upon chewing or application of pressure. This could indicate that your tooth’s roots are infected due to trauma or a cavity. You should especially follow up with your dentist in Asheville if you’ve received any type of trauma to your mouth. Prolonged sensitivity or pain to hot or cold temperatures (after the hot or cold has been removed). If a root canal is needed, often you’ll continue to experience sensitivity even when you remove the offending food or liquid from your mouth. Discoloration (darkening of tooth). It can be obvious when a single tooth begins to change color as opposed to the other teeth. This could be a sign that you need a root canal and that an infection or deadening of your tooth’s nerve may be happening. Swelling and tenderness in the nearby gums. If an infection is present, often inflammation and sensitivity will manifest in the gums, and they’ll be tender and painful in the surrounding areas. A persistent or recurring pimple on the gums. This could be a sign that an infection is present in your tooth’s nerve. Don’t put off getting a root canal because you’re anxious about the procedure or you’re not experiencing any symptoms. During your routine checkups with us, Dr. Saunders can help evaluate your teeth and gums to see if a root canal is needed. Saving your tooth has many advantages over tooth extraction. You won’t need implants or dentures or any other cosmetic dentistry done other than a crown. You’ll simply need to have the pulp of your tooth removed and then seal it in order to solve the problem and alleviate your symptoms. Not sure whether or not you need a root canal? Has it been some time since your last exam? Give us a call to see how we can help you alleviate your troublesome symptoms and get your gorgeous smile back. Contact our Asheville dental office at 828-277-6060.